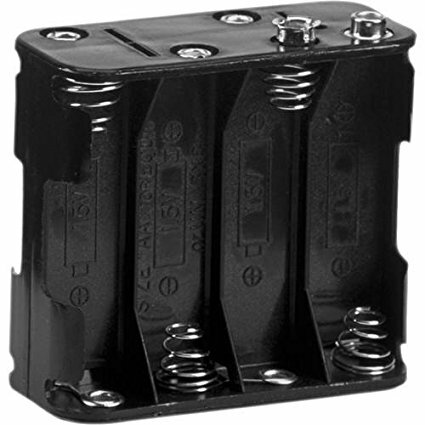 Three styles of PP3 battery snap connectors, two are manufactured from heavy duty ABS plastic, the other from cardboard covered in soft plastic. These can also be used to connect with our rage of battery housings. 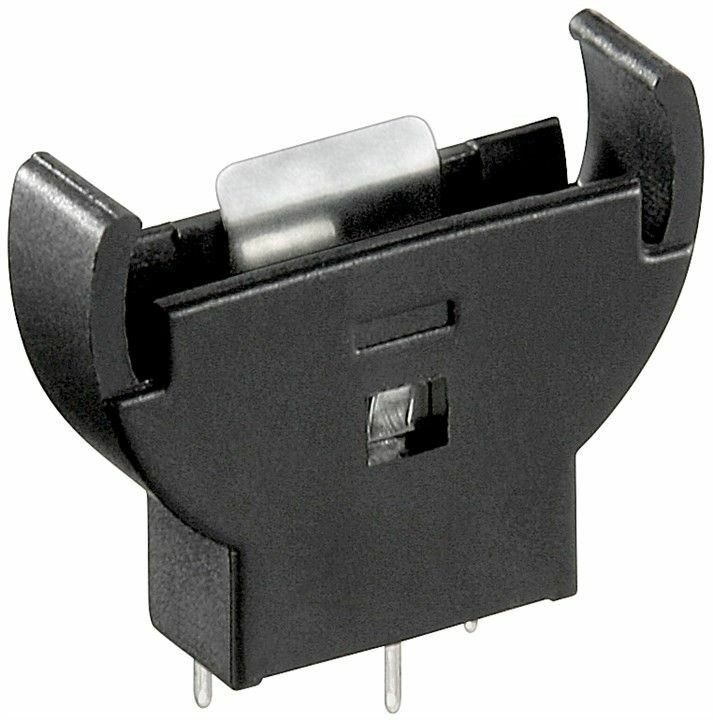 Plastic holder for housing 1 PP3 battery, ideal for fixing in a case or box. Plastic coin cell holder for direct PCB mounting, holds one CR2032 Button cell. Plastic coin cell holder for direct (Vertical) PCB mounting, holds one of CR2012, CR2016, CR2020, CR2025 or CR2032. 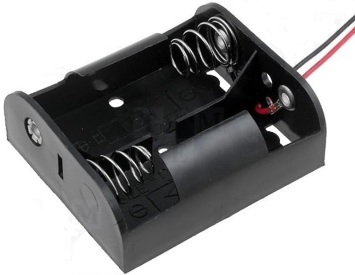 Battery holder moulded from thermoplastic, with nickel plated spring contacts. Suitable for one N size battery. Battery holder moulded from thermoplastic, with nickel plated spring contacts. Suitable for two N size batteries. Battery holder moulded from thermoplastic, with nickel plated spring contacts. 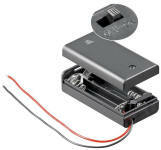 Suitable for one AAA size battery, available with solder tags or with 150mm leads. 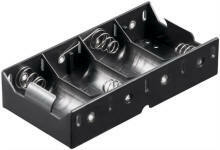 Battery holder moulded from thermoplastic, with nickel plated spring contacts. Suitable for three AAA size batteries. 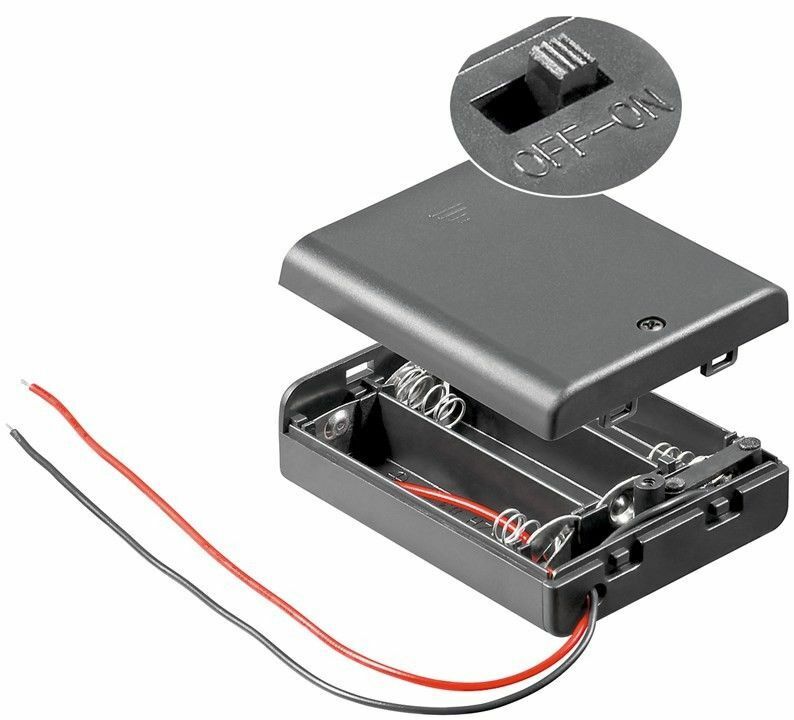 Battery holder moulded from thermoplastic, with nickel plated spring contacts. Suitable for four AAA size batteries. 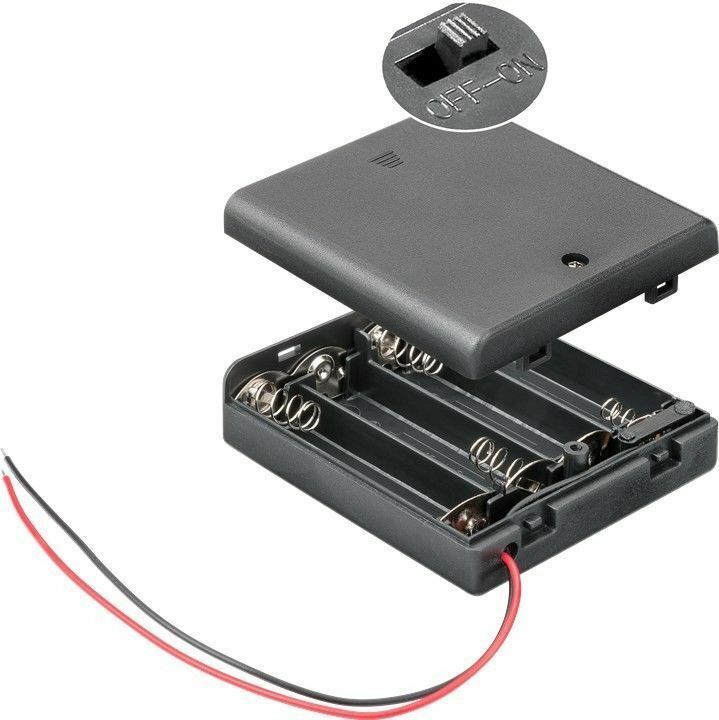 Battery holder moulded from thermoplastic, with nickel plated spring contacts. Suitable for two AA size batteries. Battery holders moulded from thermoplastic, with nickel plated spring contacts. 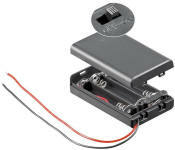 Suitable for two C size batteries, available with solder tags or with 150mm leads.